OUR VISION: 1517 The Legacy Project serves churches and the world by providing a message of hope for those broken by the church, supplying theological resources that strengthen congregations, and modeling ways of engaging the culture in a manner that is thoughtful, courageous, and Christ-centered. 1517 is growing! Which means we’re talking to more and more people. As we enter into conversations with Christians and unbelievers, insiders and outsiders alike, we are increasingly running into simple questions like, “So just what is 1517?” And the question is intentionally loaded. Not only do they want to know more about 1517 The Legacy Project, but they also want to know what the significance of the number even means! So, let’s cover it in a little more depth. But not just a year. Most historians tie this year to the beginning of a period of time known as the Reformation. 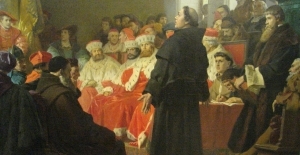 Because of the significant divide between the church in his day and what was plainly stated in the Bible, a young college professor named Martin Luther penned and posted some pointed questions for debate, thinking the issues so clear that the Pope, when he was made aware, wouldn’t be able to help but see and correct the horrible abuses perpetrated against his flock. Not wrong in his observations of abuse in the light of Scripture, but wrong about the Pope. Popes don’t reform the Church; the Holy Spirit working through His Word, the Bible, does that. And the Reformation was a time of rediscovery because of the renaissance of classical learning and languages; that renaissance spilled over into the study of the sacred text of Scripture. For years, the Bible had been available for the most part in an official Latin translation—and that mainly to an exclusive, religious elite. With the explosion of classical learning in the 16th century and the revolutionary advent of the printing press a century before, people could now get their hands on the text in its original language. Out of these riches, new translations were produced and old treasures, long buried, were revealed. Luther, through his study of Scripture—particularly the writings of St. Paul—discovered that salvation was not to be had by any work or deed, but by trusting in the finished work of Jesus. It was by the grace of God – not grace as a currency that you could earn for yourself to pay your way (and maybe the way of others) as Rome taught (and still teaches), but a disposition that God now had toward his rebel children in light of Jesus’ cross and passion. Jesus had suffered everything for Luther and now Luther was free. He was free to enjoy and explore God’s creation; he was free to study how God revealed Himself in nature and in Scripture; he was free to serve God in the person of his neighbor; and he was free to worship and enjoy Him in all of these things. All of Luther’s preaching and teaching, fellowship and family life were aimed at exposing this glorious truth. It was for freedom that Christ set us free; therefore keep standing firm and do not be subject again to a yoke of slavery (Gal 5:1). Our hope and prayer is that God will ignite another movement of reform in our day—a return to that great rediscovery of the Gospel during the Reformation of the 16th century. Thus, the motion of the movement is backward: back to Scripture, back to Jesus as the center and purpose of it, back to seeing God in the face of our neighbor, whoever he or she might be. After 500 years—2017 is the coming anniversary—we believe that the insights gleaned from the Reformation have a significant role to play in our movement. The “You are forgiven!” spoken to us every Sunday in church captures the essence of this free community. The study of Scripture is a main component, and we want to encourage that (And we have an embarrassment of riches compared to 500 years ago—it’s only gotten better! ), but so is education in general, and the gifts Jesus has given by promise to His family, the church—physical means by which we might commune with Him and be a part of His kingdom, the Lord’s Supper and Baptism. These things are not listed in order of importance; they are all important. Can you imagine if the whole church was just about these things? And we want you to join us. We’re not saying to leave your church or anything like that, but check out what we have to offer and use it to your heart’s content. We pray that God will use what we have to help you—to strengthen and edify and comfort and set you free. Rarely has the world seen the invention of a tool for the spreading of information which changes the world for generations and centuries to come. The Gutenberg press was one such invention; it allowed the reformers to spread information and educate people more easily and affordably than ever before. That technological revolution allowed for the mass printing of single leaflets, entire books, and art, all quickly and inexpensively. Our goal is to create an educational platform that makes it as easy as possible to access all these media—ebooks, audio, video, etc. There are no more natural barriers to information access—content can now be easily accessed anywhere in the world regardless of location, medium or language. You can even access information in the way that best fits your learning style. What if you learn better by listening or watching a video rather than reading? Or vice versa? No problem. Reading multiple books at a time, but can’t carry that many books with you on a trip? There’s a solution for that, too. Heck, people are now reading voluminously using the small screens on their smart phones, making it possible to use one simple, small device to access all the information you want, any time, any place. We live in a truly remarkable time! And 1517 is right there on the cutting edge. We will be developing tools to make access to this information as easy as possible. Yes, and we’re not just speaking figuratively. In October of next year, the 500th anniversary of the Reformation, we will be throwing a huge party—and you are all invited! Because this is not just a party for insiders, for the elite ‘experts’ of Scripture, or for any particular group of people. We are bringing good news to believers and unbelievers alike, insiders and outsiders, winners and losers, bruised reeds and smoldering wicks—in short, sinners of all stripes—nothing less than the whole world. 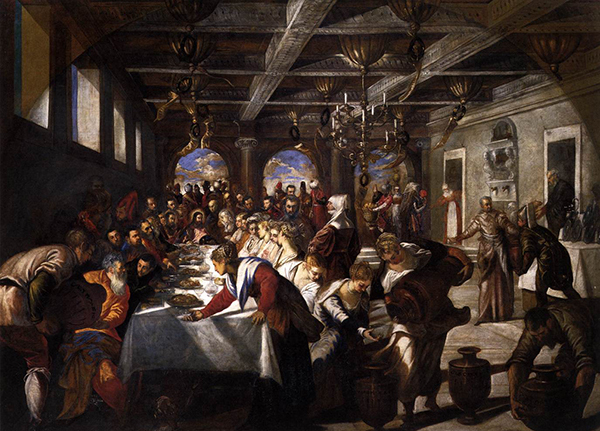 We’re calling this party “Here We Still Stand” which harkens back to Luther’s statement to all the powers that be when asked to recant his freedom in Christ. 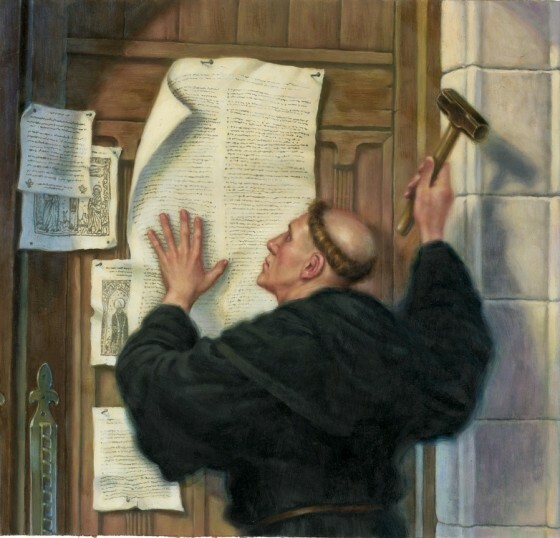 We stand with Luther in that freedom because of what Christ did, because of what Luther and the other reformers believed. We confess with those reformers the faith, “once for all delivered to the saints” and ask that God would bless our efforts to bless you with a deeper knowledge of the freedom we all possess in Christ. This will be our kick-off party for the next 500 years, so you bet it’s going to be good. We hope to see you there. Let’s have a blast!